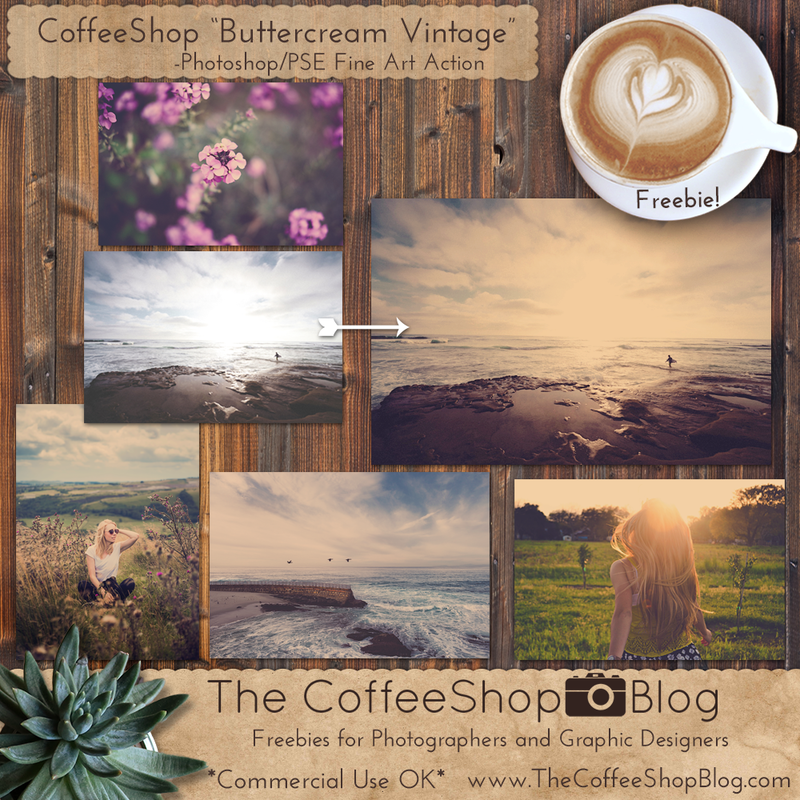 The CoffeeShop Blog: CoffeeShop "Buttercream Vintage" Fine Art Photoshop/PSE Action! CoffeeShop "Buttercream Vintage" Fine Art Photoshop/PSE Action! So I am still living in the "House of Sick". The kids are still not 100% and now Paul and I apparently caught something. Oh well, at least it is too hot and humid to go out anyway, so it is a good time to be sick. I am trying to be optimistic, is it working? 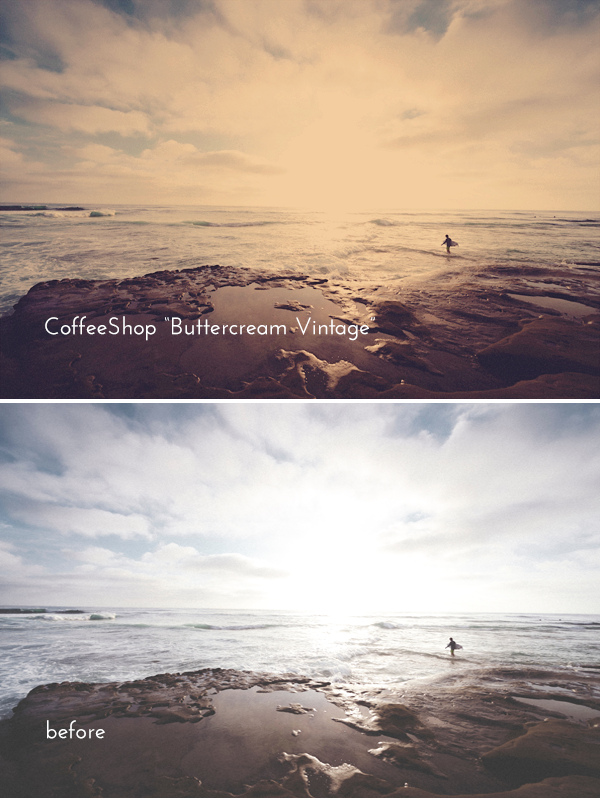 Today I wanted to post a new action called "Buttercream Vintage". 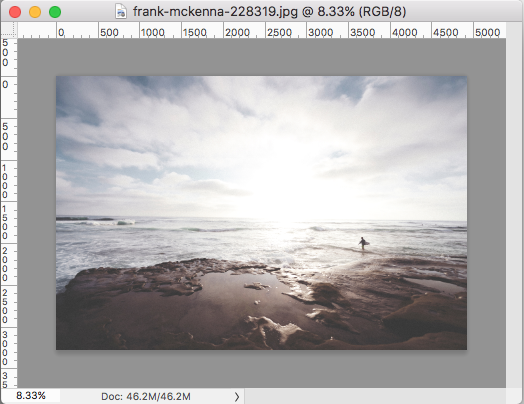 This one looks amazing on beach images but you can run on it so many other types of images. It is fully adjustable and you can have anything from a high-contrast to matte-effect edit. A special thanks to the photographer at Unsplash for the images used in this post (flowers, surfer, girl with white t-shirt, girl running). Run the action and you will see a Levels pop-up, preset for a matte-effect contrast adjustment. If you want to add more contrast simply move the shadow sliders (the one on the left under the curve) and the black Output Levels slider to the left. Now this image really pops. This is the image after the action finishes. 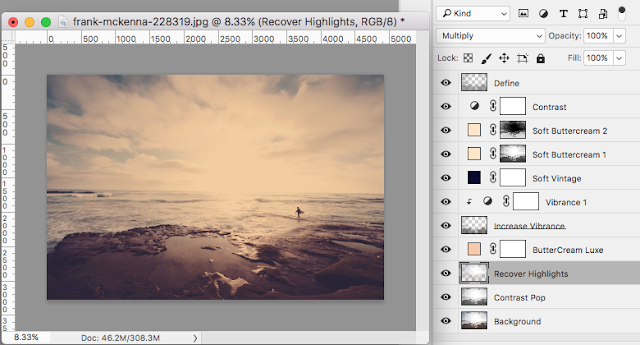 For this edit I turned on the "Recover Highlights" and "Define" layer. 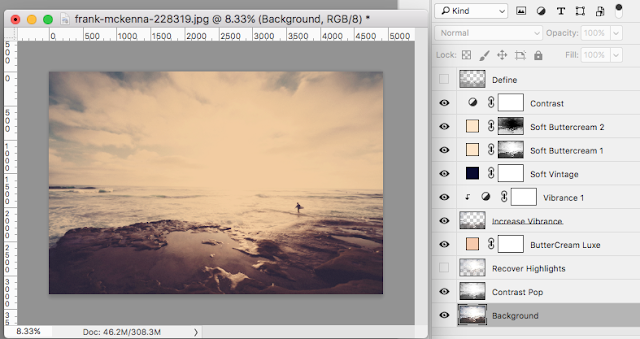 You can also adjust each layer's opacity to taste. Download the CoffeeShop "Buttercream Vintage" Photoshop/PSE action. Sorry to hear that the boys are not better yet and that you and Paul have succumbed to the sickies now too. I hope you are all feeling better soon. Thanks so much for the action! Thank you Lisa! This bug is really hanging on, but I think I am over the hump finally. I hope you are enjoying your week!